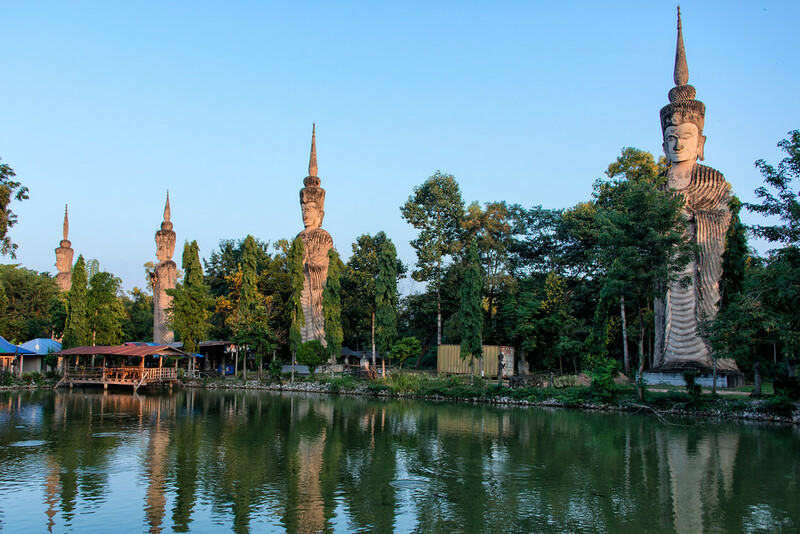 The town of Nong Khai, Thailand feels like a place where truckers stop to rest between big cities. Not a place for tourists, but wide dusty roads made for passing through, not for stopping. A place where the strong sun turns everything an even shade of gray and one finds mostly auto garages and no people. This is not where I pictured myself when I went searching for the Naga Fireball Festival. 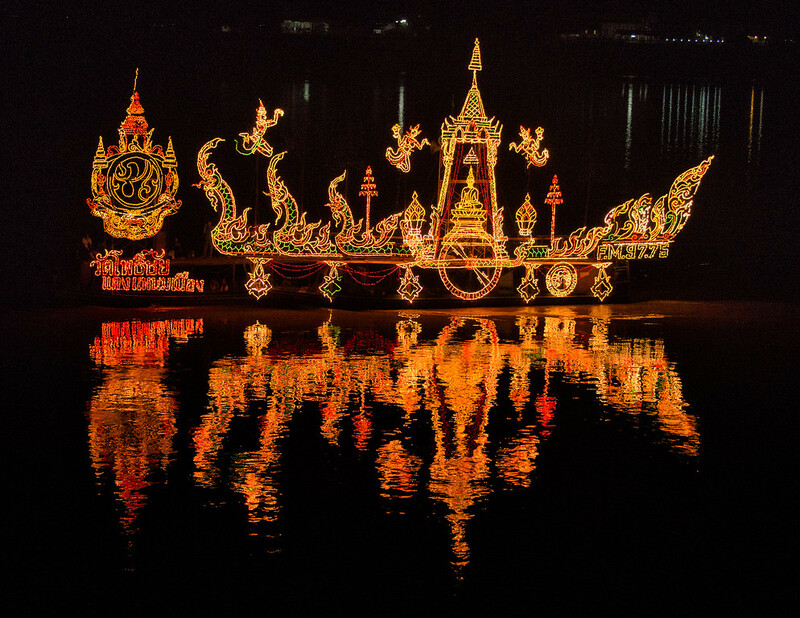 Years ago I heard that in the north of Thailand, where the Mekong river divides Thailand from Laos, on one night of the year balls of fire magically rise out of the river. 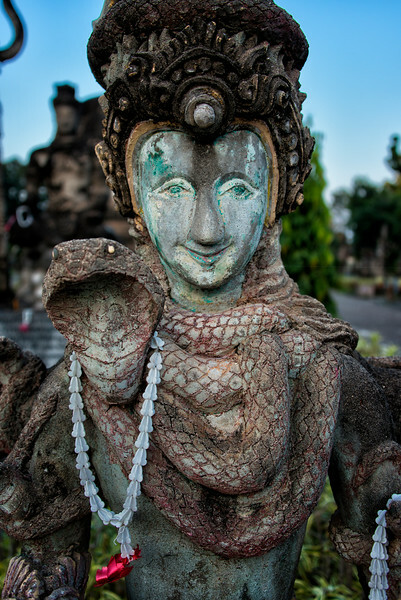 Nagas are giant many headed magic snakes that are prevalent in Buddhism, Hinduism, and local folklore and are the source of the fireballs. Of the hundreds of things I’d been wanting to see, this seemed the most strange and magical, even if I was very skeptical. In my mind I pictured a small village, a crowd of a hundred people gathered in a muddy field along a river, and everyone hoping that this year fire will rise out of the river. This is what I was looking for when I headed North. I arrived a few days early to get the lay of the land. The hotel I booked turned out to be in the middle of a massive renovation styled by the aging owner as her fantasy of Louis Vuitton meets Bali. Massive concrete flowers and bits of spiral staircases littered the entryway, making for a perilous walk to reception. The rest of the hotel was pretty run down and my ‘bungalow’ was barren and I spent my first few minutes killing mosquitoes. Feeling lost and not knowing the town, I headed towards the river. 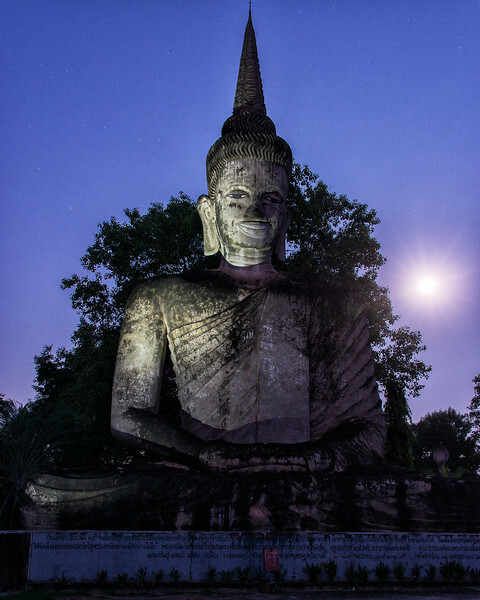 I was happy to find a long riverwalk of shops with Naga motifs, a Naga festival night market, and large Naga statues that stood staring across the river at Laos, I think more as a symbol of kinship than as warning. The river was empty of boats except for one straight out of Disney, covered in lights and animated flying gods and firing off giant fireworks. Things were starting to feel a little less like a wasteland. Maybe there would be Naga and fire here after all. But then I hired a driver for a day to see the local sites. First was the ‘Grand Canyon’, which turned out to be just the river, but is a lovely rock formation when the water level isn’t so high. And I saw the ‘waterfall’ which was actually just a small swimming hole packed with weekend families. Communication issues were killing me, I’m pretty sure the driver was trying to tell me there was nothing to see where I insisted on going, but I was too stubborn to listen. I was starting to suspect this whole event was one big hoax. 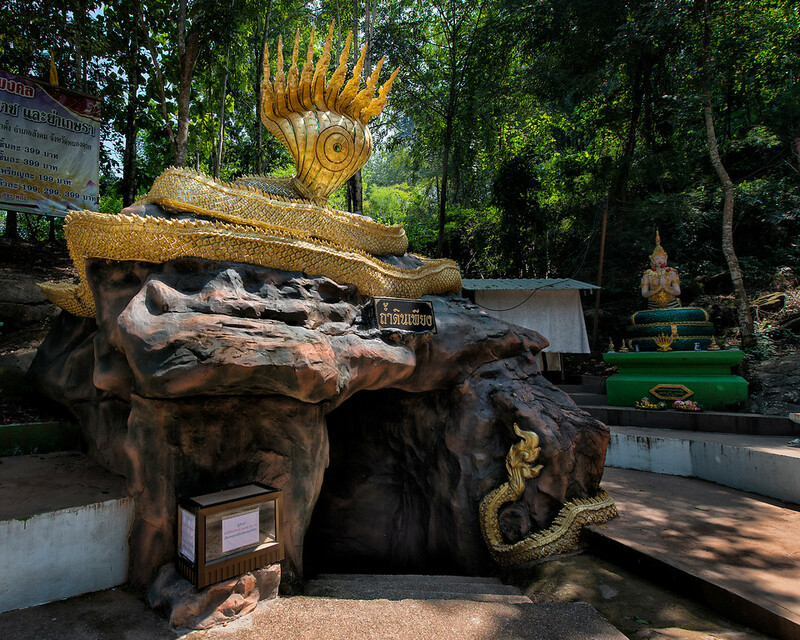 But the land of the Naga finally started to come to life whenwe came to Phang Din cave where Naga live. 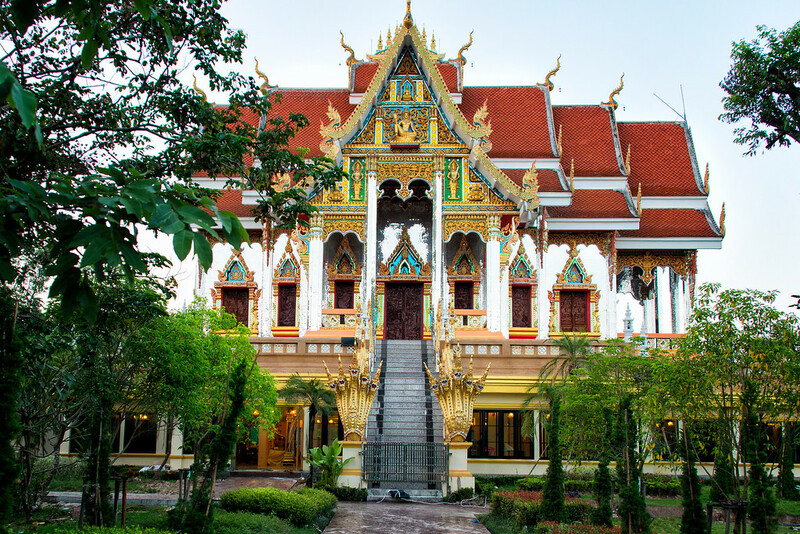 The entrance was topped with a large Naga statue and guarded by a giant golden Buddha. Before entering I was asked to pray at the shrine to ask permission of the Naga to enter. I crawled in and immediately turned around, I was too big to crawl in the tiny damp crack, which was good because I saw people go in but never come out. I think the Naga were eating them because they forgot to pray. 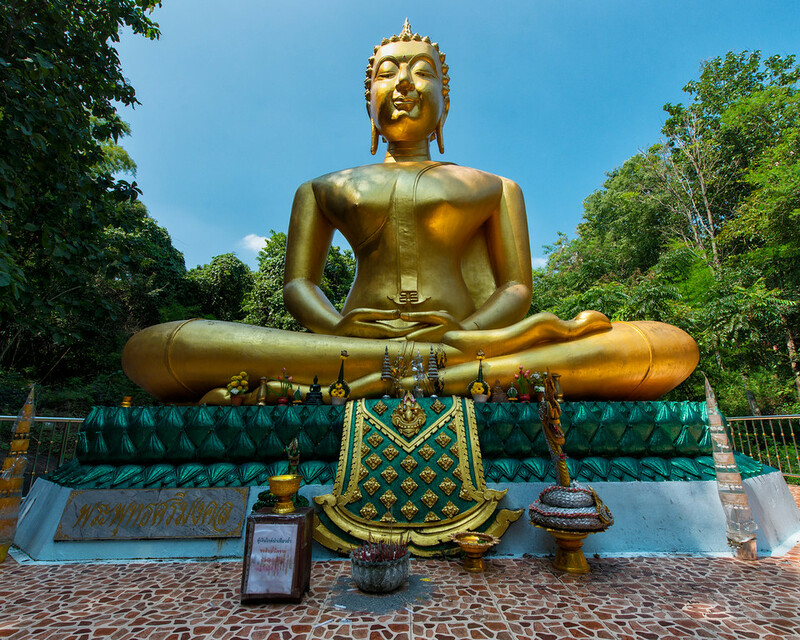 On top a high hill is Wat Pha Tak Suea, a golden temple overlooking the Mekong, with Naga snakes lining the stairs and altars, families and monks coming to pay homage. And as if saving the best for last the driver stopped at Sala Kaeo Ku sculpture park. It was magic hour, the sun had just set, and I could see the statues mostly by silhouette: a hundred foot high seven headed Naga shielding the Buddha from storms, giant stone idols rising stoically above palms and a reflecting pond, the full moon rising over the shoulder of a massive sitting Buddha, the park was full of mythical creatures acting out Buddhist parables that I knew nothing about, like a pack of dogs with knives and big penises chasing down an elephant. It all felt like some kind of frozen fairy tale. I went home knowing that Naga mania was at the soul of this place and feeling naively hopeful about seeing fireballs. The night of the festival, October 27th, started with a stop and go bus ride and very crowded walk to the river. The river festival was shoulder to shoulder with food and trinket booths, the smell of fried food, family after family at tables set up for dinner and drinks, a musician rocking Thai folk songs on an electric Naga guitar, and tents with chanting monks. The shore was packed with people for as far as I could see. I had no idea what we were all watching for, or if I had already missed it due to traffic. 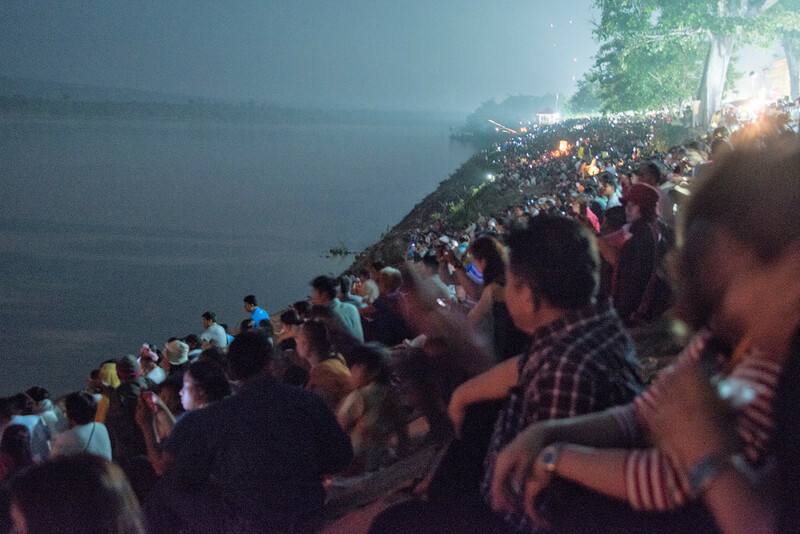 Across the river the Laotians were shooting off fireworks from a small temple. I grabbed a spot along the river and waited. And waited. 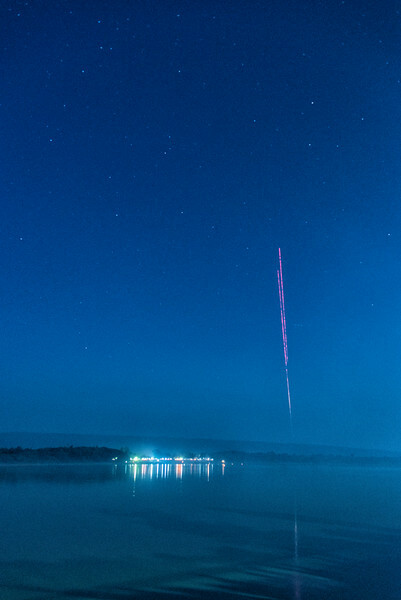 And then a red ball of red flame shot out of the river, bamm, like a large flare, rocketing hundreds of feet in the air. The crowd let out a huge cheer. And then another, and a third. Everyone was happy and excited, and I was content. Over the evening we saw the magic Naga fire a few more times. So maybe Nong Khai isn’t perfect, but people were thrilled and moved by their time with the Naga. 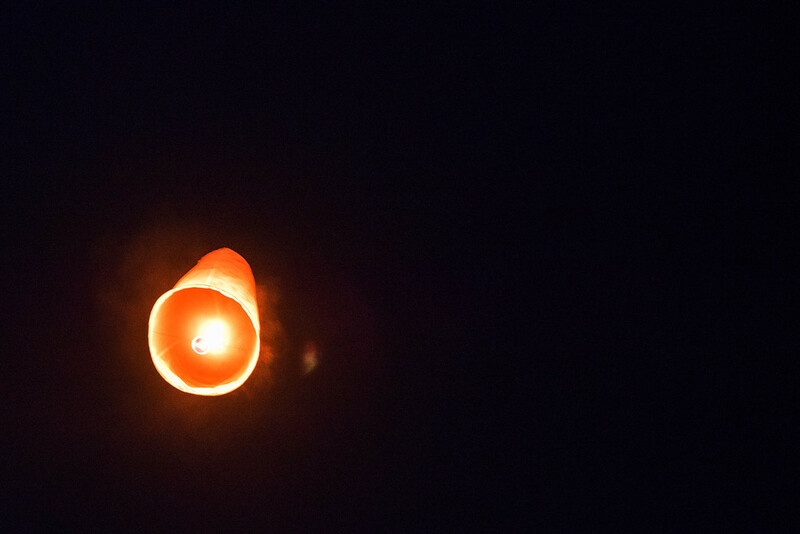 On a break between fireballs I bought a khom loi, a flying lantern, but accidentally ripped it. Yet with some patience I was able to let my own imperfect flame fly into the night sky, so high it was lost in the stars.